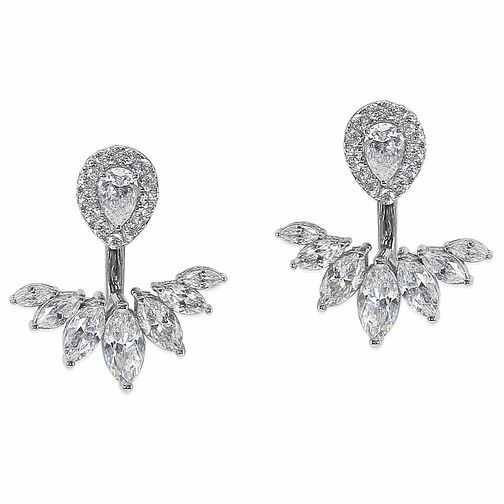 A glistening pair of silver stud earrings, complete with earring jacket, adorned with a cluster of sparkling Carat* stones. CARAT* blends timeless glamour with modern day wearability to deliver luxuriously fine jewellery. CARAT* LONDON Noa sterling silver Earring Jackets is rated 5.0 out of 5 by 1. Rated 5 out of 5 by Anonymous from Beautiful and Sparkley These are beautiful, a lovely statement earring. I cannot wait to wear them on my wedding day!